Windows has a lot of useful commands accessible from Run menu. 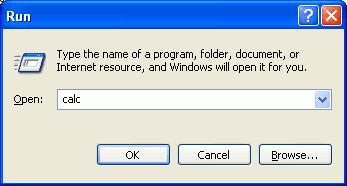 To invoke the Run box, click on Start button and choose Run, or hold down the Windows key and hit R. Run commands allows simply run applications by typing their name instead of click on an icon. Remember these commands. They can save a lot of your time.P.S. Some commands may be missed in your system.